After perusing the lists of the best things to do in Charleston, South Carolina, you’ve decided to make the trek to the Lowcountry. That’s great, but the next logical question is where to stay in Charleston? I personally prefer to experience the area more like a local while supporting local businesses. 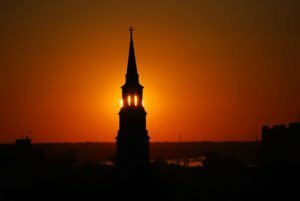 I thought it might be time to make some recommendations of the best places to stay in Charleston, SC, regardless of budget, to help you enjoy your visit without spending a fortune. Or you can spend a fortune if your trip to Charleston is intended to be a bit of a splurge. What Are the Best Areas to Stay in Charleston, SC? The answer to that question depends on what experience you’re looking to have in Charleston. Staying at one of the historic downtown Charleston district hotels will be a different (and more expensive) experience than staying at a vacation rental on Folly Beach. I could split peninsular Charleston into two broad areas: historic downtown and the more modern rest of the peninsula. If you’re looking to be in the heart of the touristy area as well as most of the shopping and the best fine dining restaurants in downtown Charleston, you’re likely going to want to cough-up the extra money to stay downtown. On the plus side, you won’t need a car too much, which is good because parking is a pain. Most of the best boutique hotels in downtown Charleston, SC, are all clustered in the historic district. If you’re in decent shape and are alright with walking a bit more to get to the parts of the Charleston peninsula visitors want to see, you can stay in some of the chain hotels located outside of the historic district. These are still fairly expensive, but they’re taller and still on the peninsula. That means they have more availability. Walking or taking an Uber from them is not as intimidating as staying in West Ashley or Mount Pleasant. There are a couple of places to stay on the water in this area, like the Courtyard Charleston Waterfront and the Hilton Garden Inn Waterfront. There are several options for Airbnb vacation rentals throughout the peninsula. Be sure to check with a local before you agree to stay in what is possibly a dicey neighborhood, a busy street, or somewhere too far from everything you want to see. The walk from Hampton Park down to the Battery and White Point Gardens is the better part of an hour, though they’re still on the peninsula. The other thing to be aware of is the short term rental overlay on the Charleston peninsula. There is actually a limited area of the city where short-term rentals (like the stuff found on VRBO, Airbnb, etc.) is even legal. The repercussions of illegally offering short term rentals outside of that area is focused on the landlords as opposed to the owners. That said, forewarned is forearmed. If you don’t want to be skirting the law, either stay in the designated area where short term rentals are legal or don’t stay in them. For your information, the short-term rental overlay area corresponds to the Elliotborough-Cannonborough neighborhood. What About the Best Places to Stay in Charleston, SC, on the Beach? Well, there aren’t any beaches in Charleston, per se. There are some fantastic beaches near Charleston, SC, though staying on the water can be a bit difficult. The closest hotels near Charleston on the beach is a short list, at the top of which is the Tides Hotel in Folly Beach. On the other side of the harbor would be the Wild Dunes Resort on Isle of Palms. This beach resort offers chic accommodations with everything from multiple pools to beach access to tennis courts, et cetera. There are quite a few options out on Mount Pleasant, from chain hotels to places to stay on Airbnb. Quite a few of the hotels are right next to the Ravenel bridge. Getting downtown is easy from them, as well as accessing all the best things to do in Mount Pleasant, SC, like Boone Hall Plantation. These are also less expensive than almost everything downtown. They’re generally not as inexpensive as the next location on our list, though. The Inn at Middleton Place is one of the nicer and more expensive places to stay in Charleston in general. Same thing goes for here: hotels in North Charleston are inexpensive. 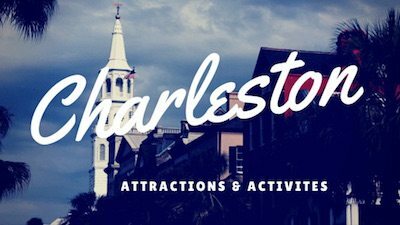 That said, they’re far from the attractions, activities, and things to do in Charleston that attract people here in the first place. Stay close to the Charleston airport and Tanger outlets if you’re staying up here. That’s actually a harder question to answer. Each season and month has positives ( as well as negatives). Most would argue that the spring is the best time to visit Charleston, SC, but I think there are a lot of other (and cheaper) options. What About the Best Charleston Weekend Getaway Packages? That question has changing answers, depending on the time of year. Pretty much everyone offers combination vacation packages to help make planning a visit here easier. Take a look at our list of the best vacation packages for romantic weekend getaways or honeymoons in Charleston for more information. 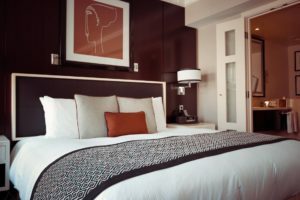 Hotels are usually what people are looking for when they come to a new city. It’s easier, and someone else cleans up for you while you’re there. The best hotels in Charleston, SC, can be very expensive, though, especially the top-tier luxury hotels in downtown Charleston. You’ve been warned, though, as they or one of the Charleston bed and breakfasts make a great place to celebrate a special occasion on your trip. First, some of the chain hotels in the area. The beauty of these is that no matter where you stay (Singapore, Osaka, Amsterdam, or Charleston), you’ll have the same experience. While there is something to say for that, it’s not going to be a localized experience. Inexpensive and in the more modern part of town is how I would describe this Charleston hotel. The Charleston Marriott is north of the Crosstown and the MUSC campus and south of the Citadel. It’s the hotel near the Joseph P. Riley, Jr. Park baseball field. Rooms higher-up overlook Brittlebank Park and the Ashley River. Right next door to the Charleston Marriott is the Holiday Inn Express Charleston. This place is also clean, comfortable, and inexpensive for downtown Charleston. Already mentioned these, but they should still go on the list of chain hotels in Charleston. I’m not a personal fan of chain hotels. That said, the pool at the Courtyard is super nice: it’s overlooking the Charleston marina and Ashley River. And as far as a hotel near the water in downtown Charleston, look no further. This place took forever to build (they had a sign saying it would be open soon for months after the marked date). It does provide an inexpensive lodging option at the top of the commercial part of Upper King Street. This Holiday Inn Historic Downtown is at the corner of Spring Street and King Street. It’s close to most of the bars and restaurants on Upper King Street, which is nice. Also inexpensive, also near Upper King Street, the Hampton Inn is in a former office building, so the rooms are not exactly spacious. They’ve got a pool, though, and a location on John Street, close to the Charleston Museum and the Charleston Music Hall that cannot be beat. Some of these places are pretty cool. They’re also very expensive, with few exceptions. A lot of these luxury hotels did a fantastic job of renovating or keeping up to date the buildings in which they’re located. 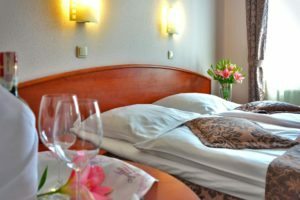 They’re also successful at offering unique touches that make their accommodations memorable. Many of these places have swanky bars, which gives this Charleston hipster writer an opportunity to scope these places out. A downtown Charleston inn on Wentworth Street and Smith Street, the Wentworth Mansion was built in the Gilded Age. 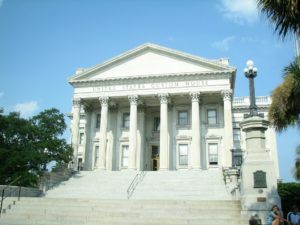 It is locally considered to be the “finest home in all of Charleston”. The Wentworth Mansion is now a 5-star luxury boutique hotel with a spa and restaurant on the grounds. Right on the corner of East Bay Street and Market Street, the Market Pavilion Hotel is right in the middle of everything in downtown Charleston. Being next to the Charleston City Market, it also has the price to match. Restauranteurs are known to drop upwards of $300 on a dinner at the restaurant on the first floor. This place is pricey, even the drinks on the rooftop bar and restaurant at the top of the hotel are a bit much. Not a bad view, that said. Another chic luxury boutique hotel right on King Street, this is the place to stay if you’re coming here to experience the best shopping in downtown Charleston, SC. They spent a bundle of money renovating and updating this place, and it certainly shows. Just like all the other historic downtown Charleston hotels, the accommodations at the Restoration on King aren’t cheap. The city gave a prime location to the Belmond Charleston Place on King Street back before the modern renaissance of Charleston. King Street was not the destination it is now at the time. Mayor Reilly and the city of Charleston took a leap lending money to get a luxury hotel built close to the many tourist attractions in downtown Charleston. That gamble paid-off recently when the owners of the Belmond Charleston Place repaid the rest of the loan. Today, the Belmond Charleston Place is one of the fanciest places to stay in Charleston, South Carolina, with a high-end spa, restaurants, and mini mall on the ground floor with luxury boutique stores like Prada. This luxury boutique hotel in downtown Charleston, SC, opened up recently. Zero George is close to the Gailliard Center, so it’s the perfect spot to be if you’re in town for a performance by the Charleston Symphony Orchestra or another performance held there. Zero George looks beautiful from the outside, and the experience is centered around food. One of their highlights are their cooking classes, which many regard as one of the most romantic things to do in Charleston, SC. I love the Vendue Inn. They have a regularly changing art exhibit on the first floor. It’s sometimes zany, often intriguing, and always worth a peek. The Rooftop bar has one of the best cityscape views of Charleston, and the drink prices are nowhere near as ridiculous as at the Market Pavilion hotel. The Vendue Inn is close to all the major attractions from its location on East Bay and Vendue Range. The closest attractions to it are likely Waterfront Park and the Old Exchange and Provost building. Any Pet Friendly Hotels in Charleston, South Carolina? Some pet friendly bed and breakfasts in Charleston include the John Rutledge House and Barksdale House Inn. What is One of the Most Haunted Hotels in Charleston, SC? A fair number of people come to town to experience some of the best Charleston ghost tours. As such, it stands to reason those visitors would be interested in haunted hotels here. As far as I know, the most haunted inn in Charleston is the Battery Carriage House Inn close to Waterfront Park and Rainbow Row on the Battery. The owners do not admit to seeing anything. Employees and guests have reported many sightings and strange happenings over the years, however. 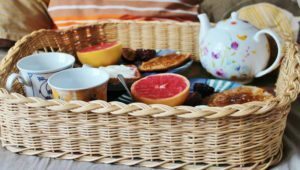 What’s the Best Bed and Breakfast in Charleston, SC? An area known for Southern hospitality would have to have a fair share of bed and breakfasts on its list of places to stay. And there are a ton, mostly in the historic downtown area of Charleston. This Charleston bed and breakfast recently came under new ownership and management. 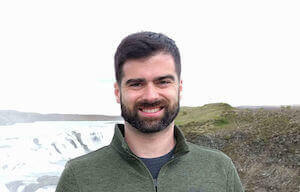 As such, it is going through a bit of a struggle finding its niche in the Charleston bed and breakfast industry. But it’s still a high-quality place to stay in Charleston. Like many of the other bed and breakfasts in town, the Governor’s House Inn fills up far in advance. I work in marketing in the Charleston area, and an inn with this terrible of a website either has no idea what it’s doing in marketing, or just doesn’t care. With as high a reputation as this bed and breakfast, Two Meeting Street Inn doesn’t need to make any effort attracting new business. It’s located right on White Point Gardens and is well-known for its beautiful rooms and high-quality service. This is another bed and breakfast inn facing White Point Gardens on the Battery. 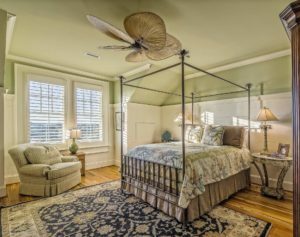 The Battery Carriage House Inn is another romantic bed and breakfast in Charleston that’s likely as romantic as it gets. What says romance more than a ghost or two? The Headless Torso of Room 8 in particular is one of the more frightening stories from the Battery Carriage House Inn. But the gardens are beautiful, and the views cannot be beat. When looking for a vacation rental, most people grab their computer and check-out VRBO, Airbnb, and HomeAway. I’m still partial to small, local businesses, so that’s what I’ve got on my list. Walk Away Stays is focused on short term vacation rentals in downtown Charleston. With an office on Rutledge Avenue, they know downtown very well, and will make sure guests enjoy their visit, no matter how long. I don’t know where all their downtown Charleston vacation rentals are. I’m still confident they don’t skirt the short term rentals laws. If you’re looking for a vacation rental on Folly Beach, check out Folly’s Best Rentals. While their rentals are clean, comfortable, and inexpensive, they’re all close to the beach, which matters most for a beach rental anywhere. 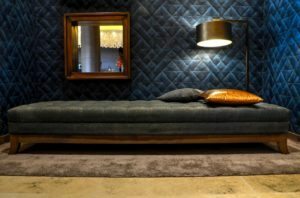 Any More Ideas for Best Places to Stay in Charleston, SC? Seriously, there are a ton of places to stay in Charleston, Mount Pleasant, and nearby. This list barely scratches the surface, as overwhelming as it seems. If you’re looking to enjoy a Charleston beach vacation, go with Folly Beach or Isle of Palms. If you’d rather enjoy all the shops, restaurants, and attractions in downtown Charleston, cough-up a bit more and save some money by not renting a car. And if you’d like a little bit of everything, save some money by staying in West Ashley or Mount Pleasant and drive between all the various attractions. Just be sure to stay at a place with a pool in the summer months. After blowing your budget on finding one of the best places to stay in Charleston, be sure to take advantage of our list of the best free stuff to do in Charleston, SC.